Mirka Abrasives have a vast range of products for all kinds of purpose but the one that is almost their 'signature' range is Abranet. 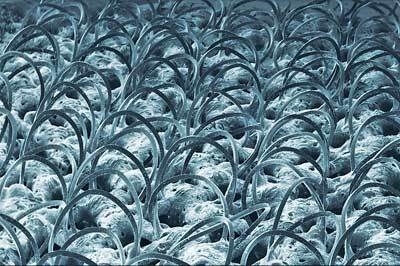 This unique material is a mesh loaded with precisely graded abrasive particles. It uses a very 'persistent' non-friable - does not break down with use - abrasive compound. What makes it unique - although other manufacturers may make their own claims - is that Abranet is a fully extractable material without the need for punchings to allow dust to be removed during machine sanding. Better still, the open web means that particles don't stick as they would on conventional abrasives, which would clog up quite easily, shortening its life and causing noticeable indenting and scoring on the job - none of that occurs with Abranet. 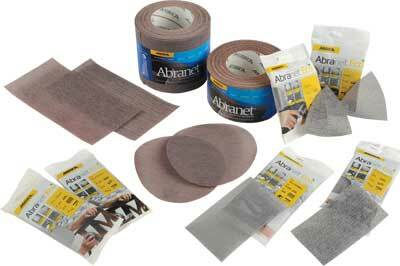 On the face of it Abranet is a complete 'win-win' over other types. Not only that, it is available in a multiplicity of sizes including small DIY Abranet Eco packs and it can even be cut to shape to suit a specific pad size. The mesh naturally clings to hook-and-loop sanding pads which it is intended for, not the clip-type traditional sanders. I have used the more common grades of Abranet on a number of orbital sanders and I can confirm that it is a very effective abrasive with a good working life and very consistent results. It is completely extractable so long as the machine draws dust up effectively in the first place, a vacuum extractor will make a difference. Dust can be emitted at the edges of a job when a pad runs over the edge but otherwise a much safer sanding option than usual. The only downside I have found is the mesh can wear the sander's backing pad with prolonged use. 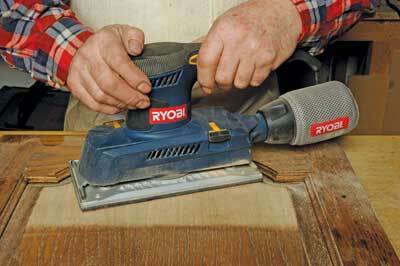 It can also be used with Mirka's special Ceros sanding system in a professional environment.